before they make their Summer debut. I remember the days when I had time to get a mani and pedi every week. which is not so good for maintaining pretty feet. but I need healthy feet too. I never really thought about the importance of the health of my feet before. Then I started poking around the O'Keeffe's website. "Skin is the largest organ in your body and its your first line of defense against infection." So dry cracked feet is not only "not pretty" but also not healthy. O'Keeffe's for Healthy Feet is formulated with to provide better absorption of moisture through thick skin like on the feet and the heels. for promoting the healing of dry, damaged skin here. I have been using O'Keeffe's for a few weeks now and have noticed a remarkable difference in my feet. The cracked heels are gone, my feet feel smooth and they even look good! (I will spare you a photo of my feet!). 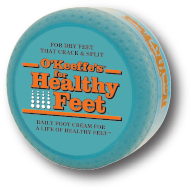 With O'Keeffe's for Healthy Feet I feel like I do a little good for my feet every day! and get ready for Sandal Season! Optional, but highly recommended....Be sure to Like Okeefe's on facebook so you can keep with the latest tips and ideas for keeping your feet and hands healthy! Sample tweet: Sandal Season is here! Get healthy feet with @O'Keefes Company. Great giveaway @504main! www.504main.com"
Optional: Tell me hat is your favorite nail/toe polish color! disclosure: I was provided with O'Keeffe's for Healthy Feet O'Keeffe's Working Hands to review. I signed up for their email! Thanks for the opportunity to win! I love OPI's bronzed to perfection! I have signed up. My feet are so cracked and ugly. I really want to try this. I usualy stick to a very light pink or neutral color....if my feet looked better I would pick a more colorful color. I have signed up for their newsletter. Thanks for the great giveaway. We could really use this in our house. I signed up . thanks for the the chance to win! I'm sucker for hot pink and deep dark red. I am loving OPI's new Minnie Mouse Collection! Thanks for the chance to win!!! 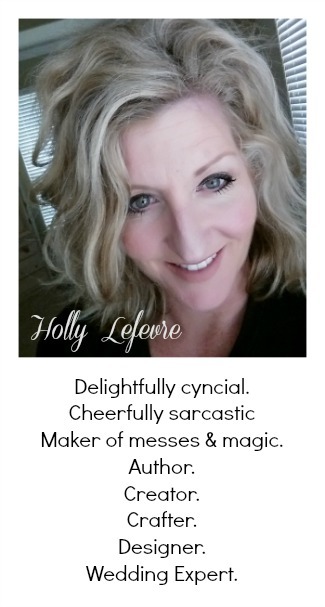 I signed up for their newsletter! What a great looking product. My heels also could use some nourishment. My favortie polish colors are either french manicure/pedi or red. I signed up for Okeeffes newsletter. I liked Okeeffe's on facebook. My favorite polish this season is essie barefoot in blue. Signed up for O'Keeffe's newsletter. kristiedonelson(at)gmail(dot)com Thank you. Like O'Keeffe's on Facebook. Kristie Morrison Donelson. kristiedonelson(at)gmail(dot)com Thank you. My favorite nail polish color is Maybelline Color Show Nail Color - Iced Queen. It's purple! Yay! kristiedonelson(at)gmail(dot)com Thank you. On my toes now I have wet n wild I need a refresh mint. Very pretty! My favorite nail polish color is called Mint Dream. I liked O'Keeffe's Company on FB, I'm Melissa Belle there. I signed up for O’Keeffe’s newsletter. I like OPI Nail Polish Italian Love Affair. I signed up for their email! I LOVE red nailpolish (but only on my toes)!! I liked O Keefe's on FB! I signed up for O'Keeffes newsletter. I liked O'Keeffes on Facebook. My favorite color of polish is Fuchsia. I like OKeefes company on Facebook. I like black nail polish. hot pink is my fav toe polish color! I signed up for the O'Keeffe's newsletter. Nice to hear of products I'm not familar with, and my diabetic patients are always trying new creams/lotions. I “Liked”O'Keefes Company on Facebook as sheila tf. Fave nailpolish on toes is clear and I love all kinds of colors on my hands! I subscribed to the email newsletter. suebunting1977@gmail.com fave polish color is purple with sparkles! My favorite nail color polish is hot pink! I liked O'Keeffe's Company on Facebook! My fave color is pink. Favorite nail color is anything Bronze! Kids and Cardboard: Cheap and Easy Fun! Party Time: A Mirror Mirror Spa Party!